One of America’s most popular dog breeds, the Havanese is an excellent life and travel companion. Very smart, happy, and entertaining, these dogs are eager to please without constantly seeking out attention. A great pet in general, the breed’s size, temperament and health make the Havanese a perfect choice for travel. Plus, they’re hypoallergenic. With just a little training, these dogs can be a great co-passenger on pretty much any trip. The Havanese is generally small enough to fit under a plane seat. Weighing 7-13 pounds and growing to 8.5-11.5 inches, most Havanese will feel comfortable riding in the cabin of the plane. Both soft- and hard-sided carriers will usually work, but we recommend the softer option for increased comfort and room. Moreover, by using a carrier with a see-through mesh or wire top, your dog will be able to see you throughout the flight. This will reduce or eliminate any separation anxiety your dog might otherwise feel. Between their size and personality, Havanese can use pretty much any type of pet-friendly transportation. One notable exception is to avoid luggage compartments, more common to buses than planes, which have no light or freshly circulating air. In-cabin travel is the best and safest option for flying your Havanese on a plane. Aside from getting your Havanese puppy from a breeder who can help make shipping arrangements, cargo transport is rarely necessary for these small, lovable dogs. Puppies cannot fly in cargo OR in the cabin until they are 10 weeks old and vaccinated for Rabies. Check with your airline pet policies to see if there are other limitations on pet transit, and do your best to determine how your dog’s health and personality may affect his ability to fly in general. Havanese are curious, sociable, and intelligent dogs. They are incredibly eager to learn, making them very easy to train. They are medium-energy dogs, but like consistent affection from their owners. To keep their long, silky fur looking its best, you’ll also want to make room in your schedule (or pay doggy daycare) for daily brushing to remove and prevent matting. Brushing is also a good time to check on your dog’s eyes and ears for loose debris and/or signs of irritation. Havanese are generally very healthy, suffering from only a handful of health conditions. They have no special exercise needs and can live between 14-16 years, but owners may want to consider frequent, professional grooming; this breed I known for its long, silky coat, which requires regular brushing and care. Additionally, as your dog ages, he may begin to exhibit signs of Hip Dysplasia, a degenerative disease in which the hip joint is weakened due to abnormal growth and development. Havanese are also known for developing elbow dysplasia, which affects the elbow joint, and patellar luxation, or a “trick knee”. As the dog ages, you may notice an increased reluctance or inability to stand up and/or jump. This will impact travel only in that you must ensure the animal can sit or lie down while in transit. Standing for long periods of time can cause both extreme pain and stress. With some searching, you can probably find an adult Havanese from an adoption center for around $300-$600 to cover the cost of running the shelter. Nevertheless, if a Havanese feels like the right choice for your next pet and travel companion, it often makes sense to think about working with a breeder. The average cost of a healthy Havanese puppy from a qualified breeder is usually around $1,000-$1,500. Again, you need to make sure your pet can comfortably sit, stand, and turnaround in an airline-approved travel carrier. Breeders can help you find a small, healthy Havanese puppy with just the right personality. 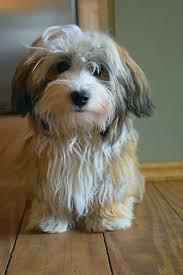 Havanese is also a popular mix with other toy breeds including Shih Tzus and Chihuahuas.